These top-grain Spanish leather bullwhips are durable and suitable for professional or recreational use. This model is nine feet long and will produce a loud crack when handled correctly. The cord cracker can be replaced when worn out. 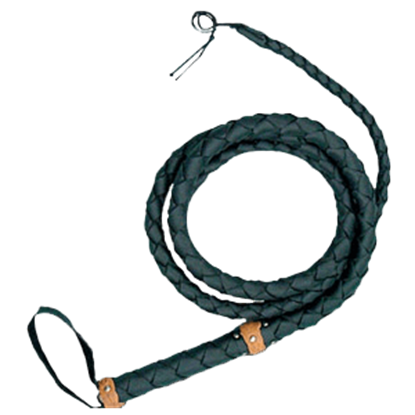 This top-grain Spanish leather bullwhip is durable and suitable for professional or recreational use. It is medium length and will produce a loud crack when handled correctly. The cord cracker can be replaced when worn out. These top-grain Spanish leather bullwhips are extremely durable and suitable for professional or recreational use. This model is approximately nine feet long and will produce a loud crack when handled correctly. 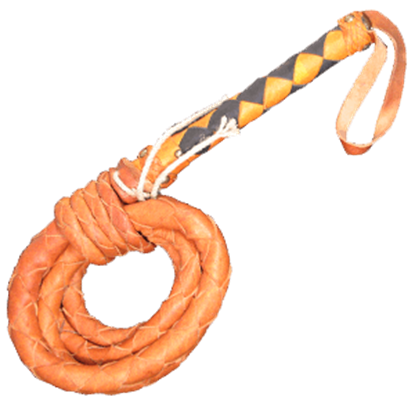 These top-grain Spanish leather bullwhips are extremely durable and suitable for professional or recreational use. This model is over six feet long and will produce a loud crack when handled correctly. 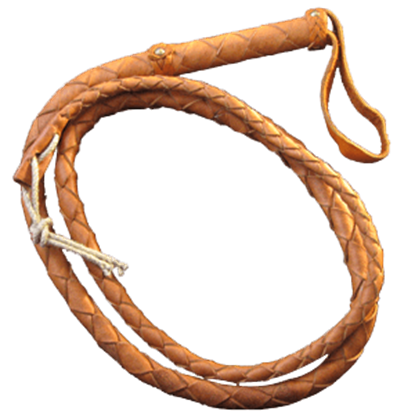 These top-grain Spanish leather bullwhips are extremely durable and suitable for professional or recreational use. This model is over three feet long and will produce a loud crack when handled correctly. These top-grain Spanish leather bullwhips are durable and suitable for professional or recreational use. This model is 40 inches long and will produce a loud crack when handled correctly. The cord cracker can be replaced when worn out. 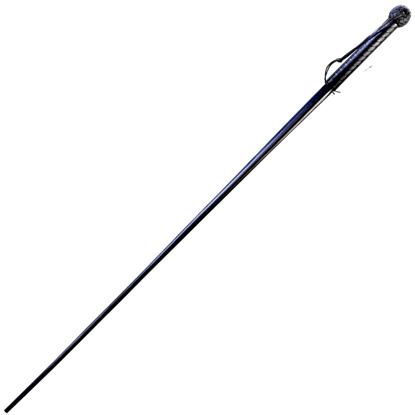 In Africa, the Sjambok (Sham-Bawk) is a cattle prod, whip, riding crop, and means of self-protection. The modern Short Sjambok is made of polypropylene and just as formidable as the traditional version made of thick hippopotamus hide. In Africa, the Sjambok (Sham-Bawk) is a cattle prod, whip, riding crop, and means of self-protection. This modern version is made of polypropylene and just as formidable as the traditional versions made of thick hippopotamus hide. 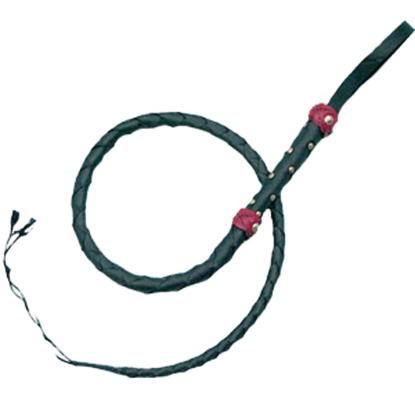 These top-grain Spanish leather bullwhips are durable and suitable for professional or recreational use. This model is 102 inches long and will produce a loud crack when handled correctly. The cord cracker can be replaced when worn out. 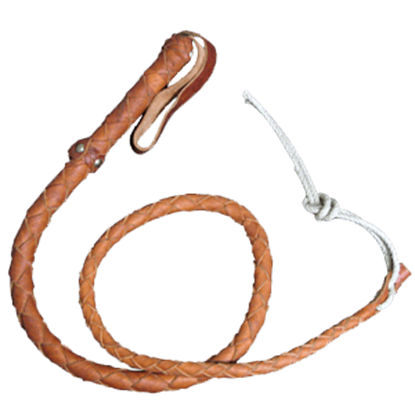 These top-grain Spanish leather bullwhips are durable and suitable for professional or recreational use. This model is 72 inches long and will produce a loud crack when handled correctly. The cord cracker can be replaced when worn out.